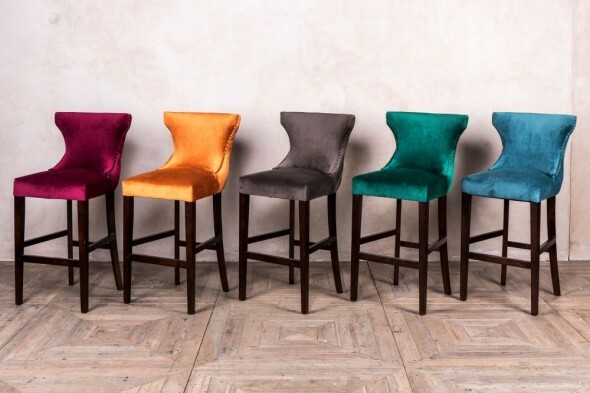 The ‘Chiron’ swivel bar stool would make a stunning addition to a bar or restaurant. It would even look amazing in a home kitchen at a breakfast bar or island. The seat is upholstered in smooth fabric, giving the ‘Chiron’ a chic and sophisticated look. 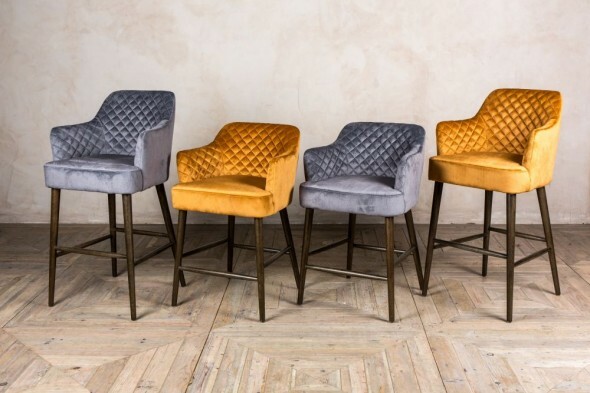 The stool has chunky, dark wooden legs and a slim gold footrest for added comfort. 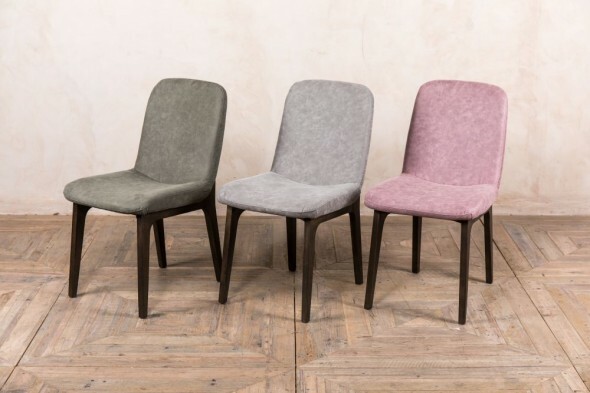 The stool is available in ash grey, mauve and sage green. 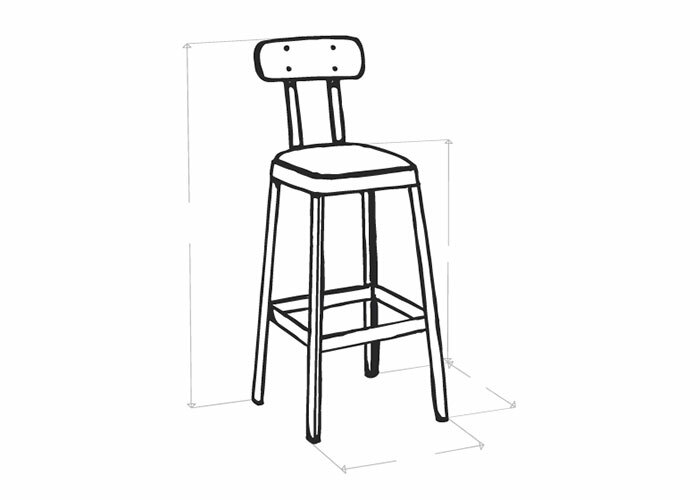 It also has a useful Memory Return Swivel function, meaning that if you turn to get off the stool, the seat will swing back to its forward-facing position. This is a great feature for bars and restaurants as it helps to maintain a tidy look.